Many of us use Outlook for sending and receiving emails on daily basis. Therefore, being more productive and efficient with Microsoft Outlook will help to save plenty of time that you can use for other work. In this article we will explain some useful tips to improve productivity on Microsoft Outlook. In any daily office activity, you need to streamline email management and operation. However, if you already have an overflowing inbox with thousands of emails, it can be a daunting thing to do. No one wants to spend hours looking for important emails that you have received few months ago hidden among thousands of other emails. A well-managed folder system will make everything easy for you. You can create folders and drag emails to the right folders. This can be time consuming, but you may spend fifteen minutes a day to do that. In a week, you may organize or delete hundreds of emails that are no more required. Some work needs you to compose the same type of message often. You will be more productive if you create a template for that and use it over and over again. After typing in your new email simply save it as a template by going to “File > Save As > Outlook Template”. Whenever you want, go to “Home > New Items > Choose Form” and select the template under user templates folder. 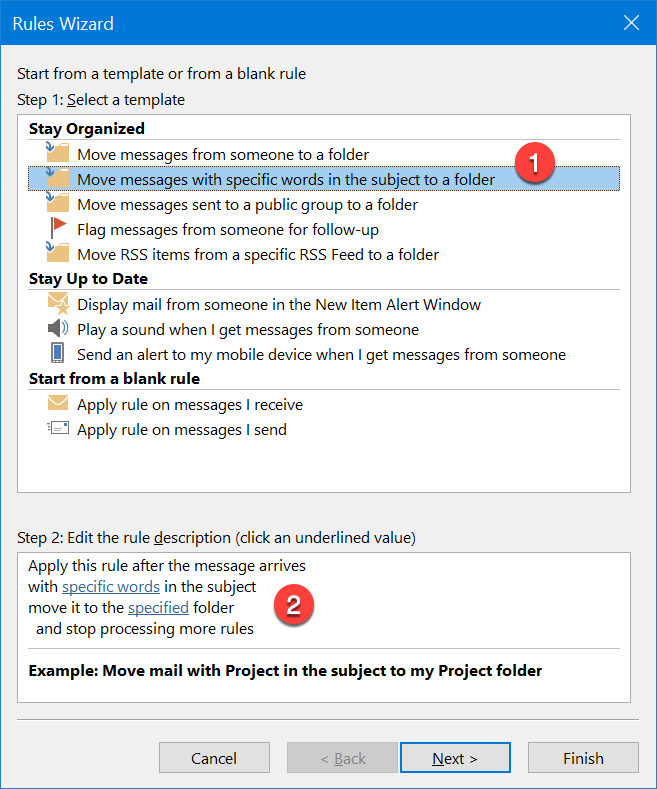 Outlook allows you to setup reminder, flag and categorize emails to prioritize the tasks. However, most of these functions work only when you open the Outlook app. Let’s say you get an urgent task on Friday evening and you want to get notified on Monday morning. The simple and effective way is to put the email on your desktop. Simply drag emails, notes and calendar entries on to the Windows desktop. Double-click on them and Outlook will open automatically. Sometimes, you want to compose the email but want to send later point of time. After you have completed preparing the email message, click on the small arrow box under “Tags” group. You can setup the time in “Do not deliver before” text box under “Delivery Options”. Choose the date and time you want the email to go out. Learn how to schedule emails in Gmail. There are many different ways you can view the emails in Outlook. However, viewing the emails in sequential conversation will help you to understand the previous communication quickly. This will also make your email messages to look like instant messaging platforms, that’s far easier to read and understand. You can arrange the emails in conversational view by going to “View” tab and checking the box “Show as Conversations” under “Messages” group. Each day, you may get a dozen or more unwanted emails from various sources. 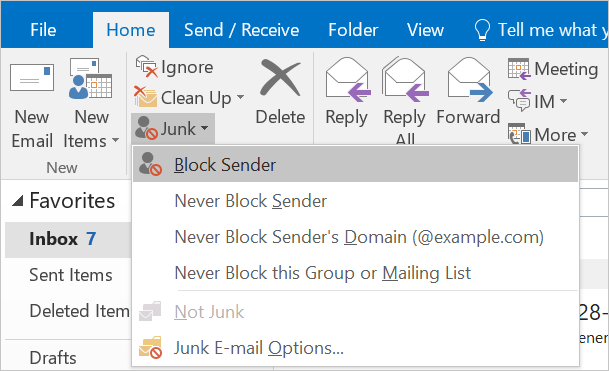 In order to block junk, unwanted emails, select the emails and click on “Home > Junk” option. 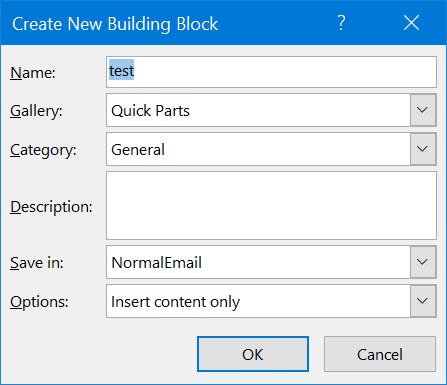 In the dropdown, select “Block Sender” to block all emails from the selected senders. If you can’t identify the junk sender beforehand, simply drag and drop the junk email to junk folder after receiving. Outlook will automatically send any further emails from the sender to junk. Keeping the reminder or important emails on your desktop will make your desktop clutter. In such situations, it’s easy to use sticky notes for quick reminders. Create a new note by pressing “Control + Shift+ N” keys on your keyboard. You can drag the note to any spot on your screen. It is useful if you want to do multiple tasks each day, because entering routine tasks in your calendar is actually quite inefficient. Getting notifications for each incoming email would be terribly distracting. Limit notifications only for important emails. In the Mail Options, you can make a new rule to display alerts only for specific senders. This happens quite often, your email address is added in the CC field of a seemingly endless emails chain. As a result, your inbox will be quickly weighed down, making it bloated and less manageable. A good practice is to divert these emails into a special CC folder. Go to “Home > Rules” section, and click on the “Mange Rules & Alerts” option. On the popup, click on “New Rule…”. In the “Rules Wizard” popup select “where my name is not in the To box” condition. 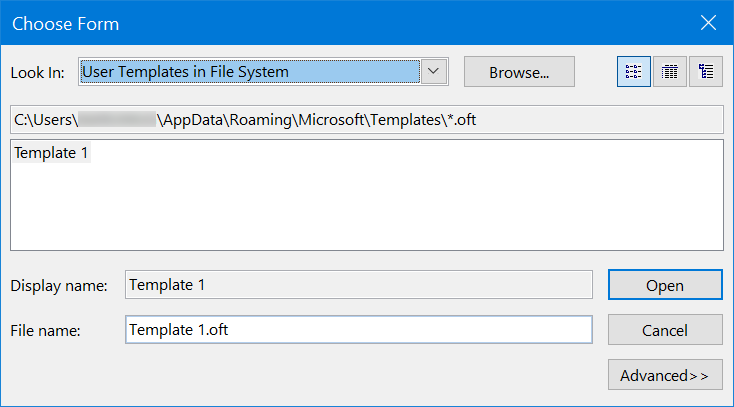 Click on the “Specified” link in the “Step 2” and choose the folder. 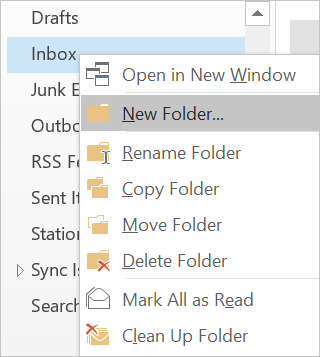 Save your changes to send all CC emails to selected folder. You can also create a rule for email you are in CC from particular sender to send to specific folder. Many people are working in email-intensive workplaces. It’s common to have thousands of emails every month. It will be time consuming and unproductive to search among these huge number of emails. You can With just a few clicks, it’s possible to reduce the amount of email that you need to manage each day. Go to “File” menu and click on “Cleanup Tools” button. In the “Mailbox Cleanup” popup, you can find older and larger files to cleanup. 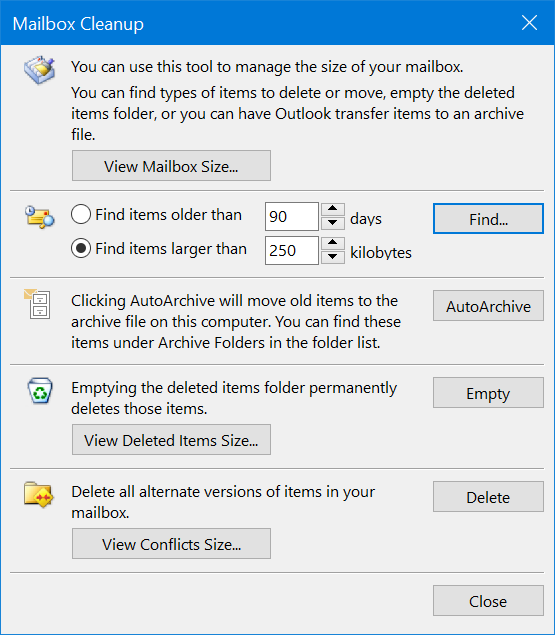 You can also setup auto archive and empty deleted items folder to fix slow loading Outlook problems. Related: PowerPoint tips to improve your productivity. There are different types of emails that you may get each day, such as computer-generated notifications, emails from clients, emails from managers and fun emails from co-workers. 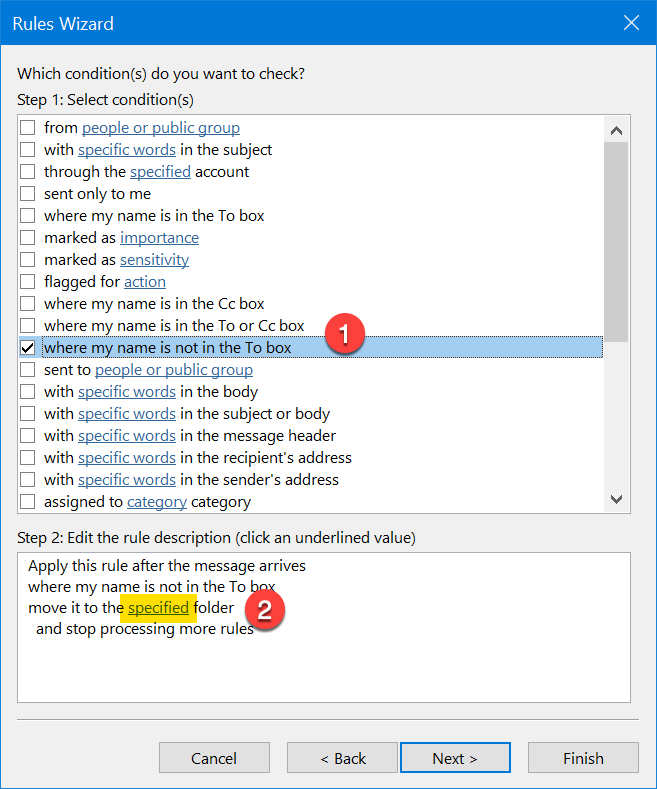 You can use Outlook rules to sort the emails. Go to “File” tab and click on “Manage Alerts & Rules” button. 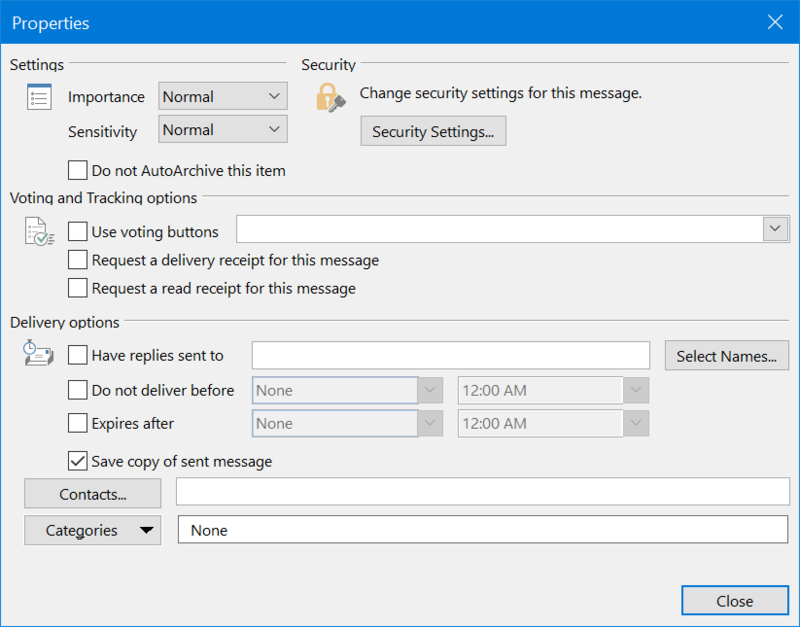 You and select messages from a sender to send to specific folder. This is useful to classify computer-generated emails and emails from managers or clients. It is also possible to select message containing specific words in the subject to classify emails from senders who send both work-related and fun emails. Select action for each the criteria, such as sending these emails to the appropriate folder. You may also send emails from public groups that you don’t want to read to the Deleted folder. You may quickly check emails in the Deleted folder each day and delete them permanently. Marketers and customer service staffs could get the same questions all the time. With Quick Parts, you don’t need to type the same reply over and over again. Highlight the text in an email that you want to use as a generic answer and go to “Insert > Quick Parts”. Choose “Save Selection to Quick Part Gallery”. Type in the name of the new Quick Part and click OK. When you want to make replies, open a reply email and go to the “Insert > Quick Parts”. Choose the appropriate Quick Part. The prewritten text should appear in the email body, edit it if you want before sending. Learn how to use Quick Parts in Microsoft Word documents. Quick Steps is a versatile feature, because you can do a long string of actions depending on the triggers. As an example, each time you get an invoice from supplier, you may want to forward it to the accounting department and follow it up a few days later. Quick Steps can do this automatically for you. Go to “Home” and check the “Quick Steps” group. You can find some default actions from Outlook like sending a “Team Email” and “ “To Manager”. 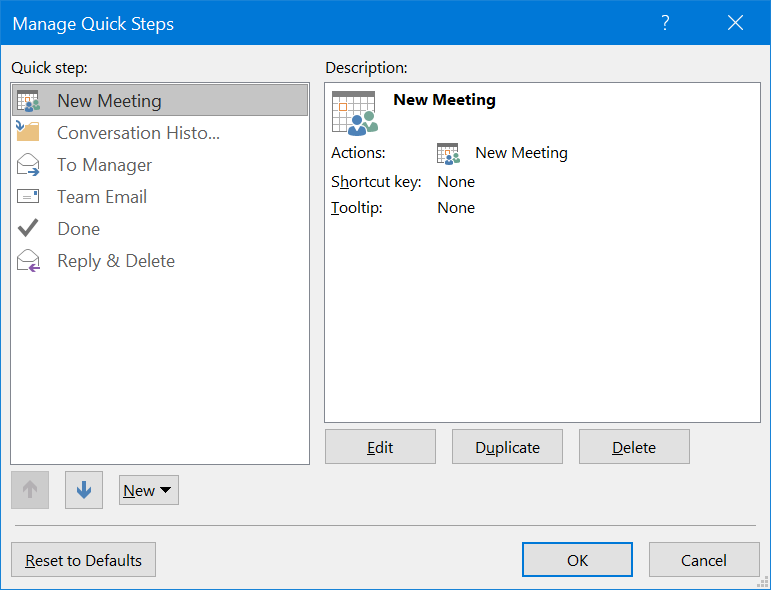 Click on small down arrow to open “Manage Quick Steps” popup. You can create a custom Quick Steps by clicking on the “New” button and selecting “Custom” option. Type in the name of the Quick Steps and choose an action, such as “Forward”. You may add multiple actions in each Quick Steps, such as “Create a task with attachment”. After you review all incoming emails, go to “Home > Quick Steps” and execute the appropriate Quick Step. Be imaginative and creative with Quick Steps, you may speed up any repetitive email management tasks. Doing the repetitive tasks on Outlook will kill your productivity. We hope some of the above-mentioned tips can really help you to save your work time.